Whether you’re exploring new trends in home automation devices or looking for the best Z Wave controllers in the market, you’re in the right site. These controllers are a revolution which could turn your home system into a very smart environment. With the rise of the “smart home” model, home automation companies are competing to come with innovative and easy to use systems. These devices make life easier because of their easy installation and use. Being a geek is not required to handle this type of technologies, and brands are working hard to make these devices as simple as possible in order to target a broader range of audiences, not only the techy ones. In addition to automate home lighting and expanding your home security, these Z Wave controllers (or hubs) can save you money as you can use them to monitor and reduce electricity usage. All of that with a centralized handy controller. So what are you waiting for to shift to the Z-Wave mode ? I’ve put together this guide so that you can find useful info about what exactly is a Z Wave controller and what is used for. This guide will help you find out which device will work best for you and the multiple features and differences between various Z Wave controllers. I’ve wrote a concentrated review on each of these devices so that you can know better what to expect. What is a Z-Wave Controller? The first thing you should put into consideration is the number of devices you will be controlling. 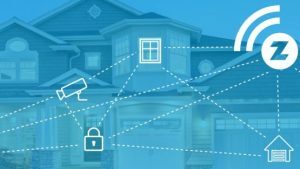 Also, if your willing to combine multiple home automation protocols, you need to check if the Z-Wave hub you’re about to buy is compatible with these different protocols. These two characteristics will help you filter out the controllers choice list. Another thing you want to consider is the level of customization that the hub allows. That said, more customization and powerful hardware means more dollars to spend. About 5 to 7 years ago, home automation was seen as a sort of scam or unfeasible futuristic idea, but now, views have changed drastically. The Z-Wave market may seem somehow overwhelming at first sight, but there is a great deal of simplifying and compatibility going on out there. These controllers are one of the best you can find in the market and they have a great potential to become the pillars of most smart home automation systems today. Nevertheless, to pair various protocols could be a little tricky for a newbie and may require some online reading. After grasping the steps of connecting various devices to the mesh network, growing your set up won’t be a difficult task. In this section you’ll find our reviews on 7 of the best Z Wave controllers in the market. I’ve included a links to check the price of each controller so that you can have the updated price. Made by Mi Casa Verde, the Vera Lite is one of the prominent names in the Z-wave controllers category. One of the things that makes the Vera Lite so popular is its simplicity when it comes to set up. It will take you only few minutes to have it set up. The Vera Lite also has a wide Universal Compatibility enabling you to customize your Vera network selecting devices without having to take in consideration their manufacturers. You can use it for Energy monitoring to reduce your energy bill and save money, video monitoring for security purposes or for plenty other functions. It’s compatible with more than 650 certified Z-Wave devices. Like pretty much all Z-wave hubs, you can access your Vera Lite and control it from any place in the world using an internet browser via your smartphone, tablet or PC. 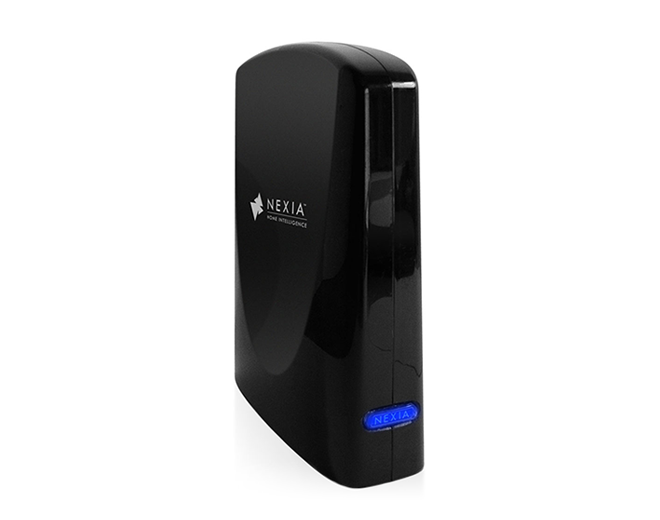 It has a very cool minimalist design and an intuitive user interface.On the back of the Vera lite, there are three ports a power input, an Ethernet port and an USB port. 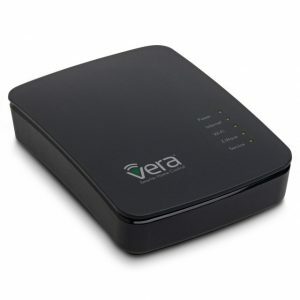 Inside the box you will find an Ethernet cable which you will use to plug the Vera Lite to the router. Mi Casa verde is also generous as they include a set of four fresh double A batteries. The Vera lite is an affordable home controller with no monthly fees which will function as the brain of the entire house that controls pretty much everything and be at your service. If you’re already a fan of Samsung products, then the SmartThings will not disappoint you. Concerning the look , I prefer this simple white design to the turquoise of the Vera Lite as the white would blend pretty much anywhere in the house. 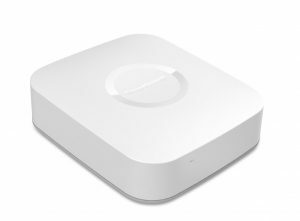 The SmartThings is also simple to set-up and comes with a wall power adapter, a micro-USB cord, an Ethernet cable and a manual. It’s is controlled through a dedicated application called SmartThings app that you can install on your smartphone and which is available for Android, iOS and Windows phone. But your phone operation system’s version should be equal or greater than 4.0 for Android , iOS 7.0 for iPhone/iPad and 8.1 for Windows Phone. Once you set up the Samsung SmartThings Hub and the app, you can start customizing your smart home by adding as many compatible devices as you want. It’s not only compatible with Z-wave devices, but also with ZigBee and IP-connected devices. One thing that can be listed on the cons side is that it doesn’t have many customization possibilities. Apparently, the manufactures with which the Samsung SmartThings is compatible are not as many as the previous controller but they are pretty much numerous including Samsung, Schlage, Honeywell, Leviton, Yale, Bose, OSRAM LIGHTIFY, First alert, D-Link, Cree, and others. HomeTroller-SEL has been released by Homeseer as the successor of the HomeTroller-SE mid-level controller. It’s compatible with most popular Z-Wave devices including thermostats, smoke detectors, light switches, door locks, cameras and more. It also supports all Linux-compatible HomeSeer software plug-ins and is compatible with Amazon Echo so you can use the voice control and voice programming options. You can customize it to send you email and text alerts as well as announcements and reminders in a spoken format if you want thanks to the built in text to speech function. You can control the Homseer HomeTroller-SEL remotely via a free HSTouch mobile app available on Android and Apple smart phones and tablets. No monthly fees are required. 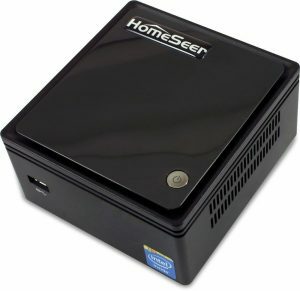 This Homeseer controller is equipped with a Intel 1.58 GHz Dual-Core CPU and comes with an advanced automation engine enabling you to create events and what they’ve called “scenes”. For example, you can set it up to turn lights on at the sunset and off when you’re out of the house. Another interesting feature of the HomeTroller is that it’s able to control your home 24/7 non-stop, even when your internet is down or your experiencing a web service issue. Vera Control VeraPlus is another affordable Z-wave hub that is also compatible with Wi-Fi, Zigbee and Bluetooth BLE. It enables you to control your smart devices individually or together in groups depending on how you want to customize your smart home system to fit your needs. You can use it for security purposes, keep an eye on your kids and pets, save energy …and more. It’s compatible with many manufacturers including Yale, Nest, Schlage, First Alert, Kwikset and others with a total of 1500 devices. With the VeraPlus, you can control up to 125 devices unlike the VeraEdge which the maximum is 75 devices. 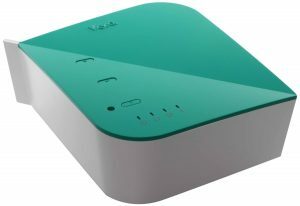 In addition to controlling z-wave devices, you can use the VeraPlus as a router to connect to Wi-Fi because it’s built on top of a 802.11ac router. Another cool things about the VeraPlus is that has a very active community in which you can profit from and share experiences with other owners. This Nexia Bridge will allow, like other Z-Wave controllers on the list, to control and supervise lights, locks, thermostats and more.It has the ability to hold more than 200 Z-Wave devices at the same time. Of course to reach that number you should have a big budget, but you can start small and grow your arsenal little by little. This hub has an average communication range of 60-Feet to 100-Feet. The Nexia Home Intelligence system is controllable through an online Nexia account and a mobile app that you can install on your smartphone, tablet, or PC. Although the Nexia Bridge is on of the cheapest Z-wave controllers out there, it requires a monthly subscription of $9.99 which adds to the final cost. 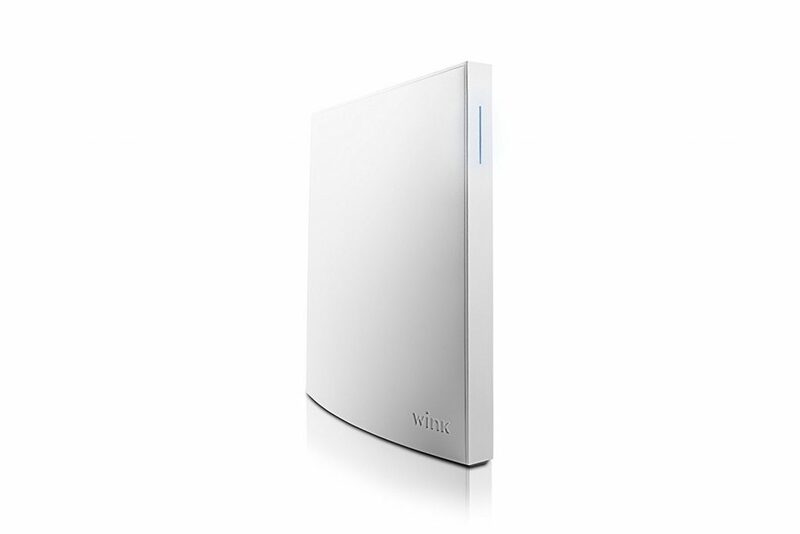 The Wink Hub 2 has an amazing language compatibility as it can work along with Z-Wave, ZigBee,Kidde Smoke,WiFi, Clear Connect, and Bluetooth. Wink is compatible with many popular brands such as Nest, Chamberlain, Philips, Schlage and more. It also works with Amazon Alexa. You can control your connected devices from an app which you can install on your iPhone, Apple Watch, Android ,or Android Wear. You can also use the web app IFTTT to create “recipes” to automate various tasks and choose your desired triggers. This nicely designed unit won’t cost much and can stand alone on your bookshelf or coffee table without disturbing your decor. 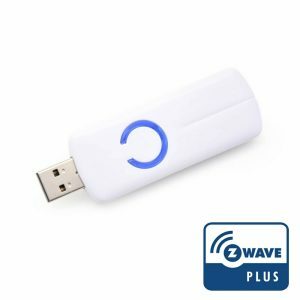 The Aeotec Z-Wave Stick from Aeon Labs is one of the cheapest alternatives you can find in the market. I say alternative because it clearly doesn’t offer the same capabilities as all the z-wave controllers listed here. In addition to that, you will need a computer (or Raspberry Pi) to plug the Z-Wave stick into and start using it. I think it’s not a bad idea to start with the Aeotec stick, but for long term use, I personally think that you should opt for an independent z-wave controller. Another drawback is that it only supports Z-Wave so you can’t use it to connect with other devices with other technologies like Zigbee or Bluetooth. You can do all of these amazing things both by direct command or automatically after having set some triggers and actions combinations. A Z-Wave controller is a device which allows you to control all the z-wave devices connected to the wireless network via the internet. Some controllers doesn’t require internet like the Homeseer SEL which I’ve already reviewed on this page. To illustrate that, think of a standard remote with which you can control your TV, cable and Blu-Ray player all together. Instead of using a remote for each smart home device, one Z-Wave controller will be enough. A Z-Wave controller will be the central hub of all these products and which will allow them to talk and respond with each other. This may sound complicated, but Z-Wave manufacturers have made the set up process very easy. Of course you will feel a little overwhelmed if you want to install multiple devices at once. But I think you should go piece by piece and start small. So the minimum number of devices here would be 2 : a Z-Wave controller and another Z-Wave product of your choice. It could be a Z-Wave light, a Z-Wave fan or any other compatible device. This is one of the cool things about this technology as it allows you to add a device whenever you want and gradually grow your smart home system . If you have already read our reviews, then you have noticed that the differences between various Z-Wave hubs are not that important. For example, the main difference between the Mi Casa Verde Vera Lite and the Samsung SmartThings Hub, which are the two top of our list, is that the first one allows for more customization than the second. So the choice will be yours as some people enjoy experimenting with gadgets and others prefer straightforward, simple devices. 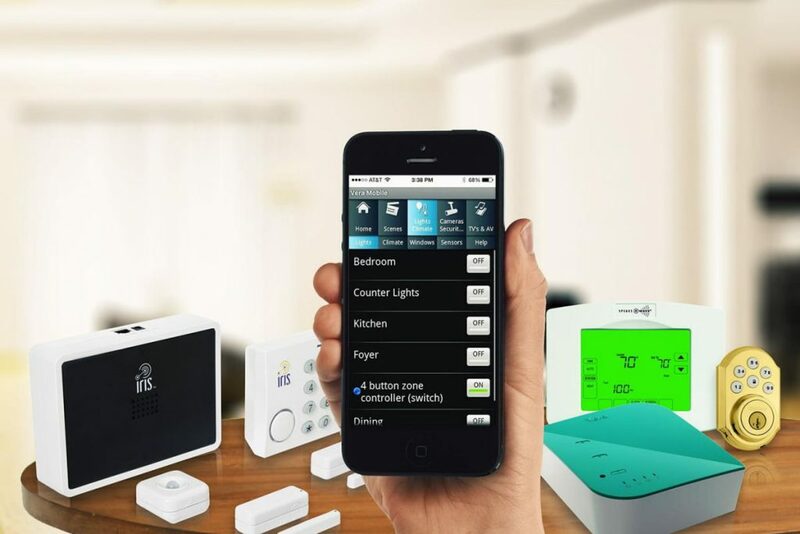 Z-Wave devices have made possible a new era of DIY home automation. Today, such a system doesn’t require the help of bunch of professionals for installation, nor it does cost high monthly fee. There are even many Z-Wave controllers with free subscriptions. This doesn’t mean though that you can’t do amazing things with it. Eventhough it’s simple to use, the possibilities are immense. 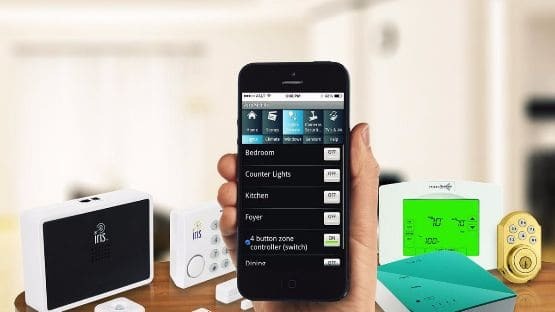 You can create all sort of events and connect various Z-Wave smart home products together and automate them using apps like IFTTTT. Apart of from rendering life more convenient, a smart home system will save you time and money. Dimming lights, dropping the shades, having all lights turn off automatically and security system on late at night are all monotonous tasks that we do everyday and which the total time wasted doing them is not to neglect. In addition to the accumulated time saved, shutting of the fans, lights and other devices will cut your energy bills. The Alliance have also contributed in terms of demonstrations as they have sponsored a trip into Himalayas where Mariusz Malkowski demonstrated through Skype live from the summit of Cho Oyu at 26,906 peak how he uses his Z-Wave controller to manipulate his thermostat, lights, deadbolts and so on. It was named the “most remote home automation demonstration ever recorded.” The main point was that he was able to control remotely his Z-Wave devices from very far away which is a very successful marketing campaign that gave credit to this technology. A list of the 7 Best Z Wave Controllers of which we've reviewed.